The new 911 is timeless – and also modern. 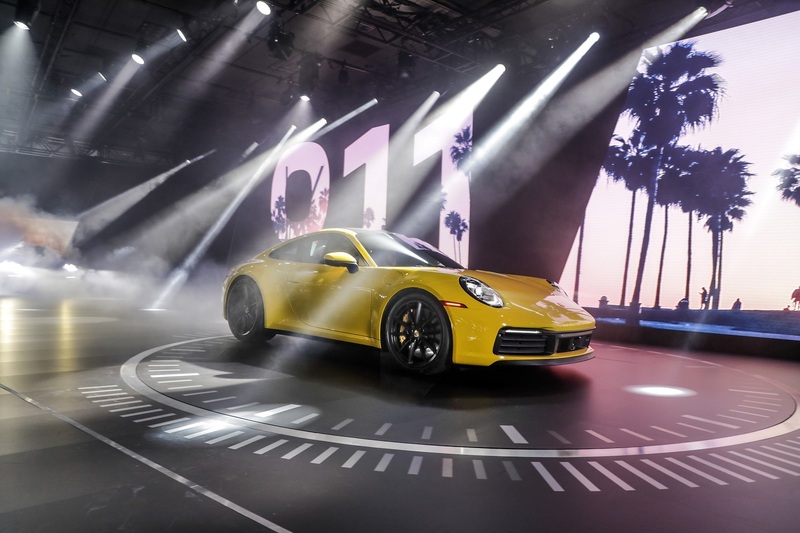 On the eve of the Los Angeles Auto Show, luxury German carmaker Porsche unveiled its new 911 at their Experience Centre in a glamorous outdoor setting reminiscent of a runway show – a subtle nod, perhaps, to the car’s undisputed status as a motoring design icon. A stream of vintage 911s glided past to remind us of this car’s provenance and heritage before the new car model was unveiled – a stunning vehicle that continues to set the standard when it comes to exclusive sportiness. 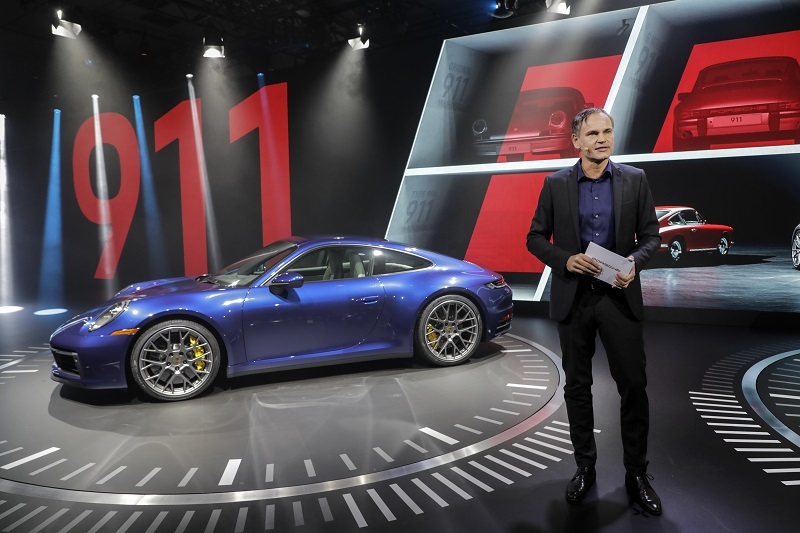 Amidst a cool autumn breeze on the evening of Nov 27, former F1 racer and Porsche ambassador Mark Webber was the perfect host, while actor Armie Hammer – a long-time fan of the 911 – joined him to describe the unique aspects of the 911 that has made it such an enduring car. An interesting tidbit we picked up from Porsche CEO Oliver Blume is that more than 70% of all Porsches ever made are still on the road today. This is testament to the longevity and sustainability of the marque’s cars, and the lineage from which the 911 is born. Unmistakably committed to the Porsche design DNA, the new car boasts a much more muscular look, featuring deisgn cues from the original 911. An interior featuring a 10.9-inch touchscreen monitor, intelligent control and chassis elements as well as innovative assistance systems combine the masterfully uncompromising dynamism that the classic rear-engine sportscar is famed for, with the demands of the digital world. The next generation of flat-six turbocharged engines has been further developed and is more powerful than ever before, with 331 kW (450 PS) in the S models. The drive efficiency has been increased by way of an improved injection process and a new layout for the turbochargers and charge air cooling system. The power is delivered by a newly developed eight-speed dual-clutch transmission. Additional highlights include the new assistance systems, including Porsche Wet Mode to make driving on wet roads even safer. The full report on the new 911 and Porsche’s presence at the LA Auto Show will be out in a subsequent issue of Options.